Come down to The Hill, famous Italian district in St. Louis, MO., for a fun Saturday. Tour the Hill and stop by Digregorio’s Italian Market. 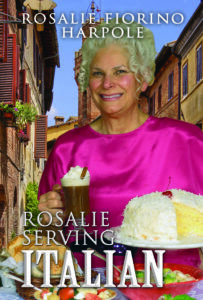 Sample Rosalie’s cakes, taken from her cookbooks, Rosalie Serving Best Loved Italian and Rosalie Serving Country. Bring the family and make a memory long remembered.